Property 3: Colonial Charm, Volcano Views, Pool and Central Location! Property 15: A home away from Home!!!! Property 22: Spectacular Island Retreat with Pool and Tennis nestled in a tropical setting. Property 24: An exclusive Private Island where Western elegance meets Nicaraguan magic. Property 27: Home Away From Home, In Secure Gated Community. Beautiful New Home in Gated Community! Nueva Casa Bonita en Residencial Privado! Property 29: Beautiful New Home in Gated Community! Nueva Casa Bonita en Residencial Privado! 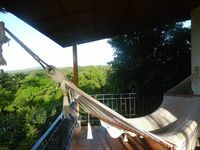 Property 37: Beautiful Property In Masaya, !Near Volcano! New Casa Bonita!! 10 Min To Managua 25 min to Granada. Beautiful climate. Wi-Fi. Property 44: New Casa Bonita!! 10 Min To Managua 25 min to Granada. Beautiful climate. Wi-Fi. Beautiful view. Fantastic pool. Warm hospitality. Everything you need! We had a great time at Nel and Joop's place, overlooking Lago Masaya. She was very helpful with tips about the area and present just enough and not too much. We were happy to contribute to the social effort of employing local people on the property. We LOVED making juice every day with freshly picked oranges from the garden. The house is very appropriately equipped for all you might need. Do make sure you purchase the food you'll want before heading up from Masatepe because you are not going to want to leave! Every single detail exceeded our expectations. Nicky was an amazing host and has created the most exquisite retreat. The thoughtfulness that she put into the house, landscaping, decor, service, is impeccable. We were traveling with another family so 5 kids total- ages 10-14. The kids couldn&rsquo;t believe how cool it is to be on your own island. What an amazing trip- I would highly recommend it to anyone traveling to Nicaragua- or El Coyol is actually a great reason to come to Nica.